Get fun facts about evaporators, a list of questions to ask when buying evaporators, the most recent evaporator releases, and an updated evaporator manufacturer's list here. 1. Dr. Neal McNiven developed the first multiple sample, high-speed nitrogen evaporator, the forerunner of many similar devices. 2. Some dry block evaporators can be filled with aluminum or glass beads. 3. Today’s evaporators often handle multiple samples at once, but each must be processed without being impacted by the others. Scientists must make sure that there’s no cross-contamination, which requires careful control of the airflow. 4. A cool use for evaporators outside the lab is on large ships which often contain evaporating plants to make fresh water so they don’t have to rely as much on supplies from shore. Click here to read more about choosing the right Evaporator. 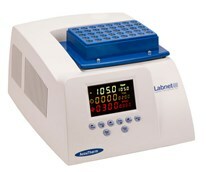 The newest addition to Labnet International's constant temperature equipment line, the AccuTherm™ Microtube Shaking Incubator is a temperature-controlled vortexer using peltier technology to rapidly heat and cool your important samples. Do we have to use detergent with the steam scrubber? Advise this member. So the heating element works fine and when I turn shaker on the RPM tac will adjust when turning the knob but does not shake Or does 1 rotation and stops. I moved the shaker manually and the tension with the drive belt feels good. Also, after I manually moved the shaker around a few times and turned the power on it does a rotation or two and then stops again. Any ideas? Advise this member. I used to work with PE FTIR 1760. Changed to the Spectrum GX recently. Just wondering how to open the cover of the Spectrum GX. I do appreciate any help Advise this member. SciGene introduced the CytoBrite Duo Slide Incubation System, a dual temperature slide heating instrument for performing FISH hybridization protocols. It consists of two independently controlled heating blocks that each hold a 6-slide removable tray. Read more. The Atlas Cryo Reactor, a compact unit just 16 cm (6.3 inches) wide, offers exceptional, trouble-free cooling of a range of round bottom flasks. Designed specifically for chemistry, it is ideal for processes such as Grignard, diazotization and aldol reactions, ortho metalations, Friedel-Crafts acylations, Michael additions and Birch reductions. Read more. TAP Biosystems (now part of the Sartorius Stedim Biotech Group), a leading supplier of cell culture and fermentation systems for life science applications, is pleased to announce that its CompacT SelecT™, automated cell culture system has been chosen by a top ten pharmaceutical company to reliably produce consistent, high quality cells in plates, ready for use in transport assays. Read more. More than a scientific equipment supplier, SP Scientific represents brands that distinguish themselves by thoroughly assisting customers in matching equipment to particular application needs. Fortune 500, pharmaceutical, aerospace, automotive, medical device, diagnostic kit and biotechnology companies — as well as government facilities, universities and colleges are among the organizations served on a daily basis. Read more. Visit the SP Scientific website to see their full product line. TurboVap sensors just doubled cost. Has anyone ever successfully cleaned/regenerated them? Advise this member. 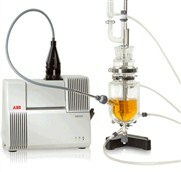 We have a Buchler/Labconco Rotary Evaporator and need directions to replace parts. We bought the Evaporator about 1980. Recently we began to lose vacuum, and evaporation slowed. We have spare parts, but no instructions. Would the instructions be available online? Advise this member. The rotor motor on the AES 1000 will not spin. Lid switch is OK. No voltage going to motor . Anybody have a diagram of the main board SVCC 200? P/N of board is 090D6057-00-A, 120vac. Advise this member.